$344.60 per month for 24 months. $1,920.14 due at lease signing. Excludes registration, tax, title and license. $303.20 per month for 30 months. $2,172.79 due at lease signing. Excludes registration, tax, title and license. $291.11 per month for 33 months. $2,273.85 due at lease signing. Excludes registration, tax, title and license. $274.04 per month for 36 months. $271.52 per month for 39 months. $2,374.91 due at lease signing. Excludes registration, tax, title and license. $267.50 per month for 42 months. $2,526.50 due at lease signing. Excludes registration, tax, title and license. $272.45 per month for 48 months. $2,678.09 due at lease signing. Excludes registration, tax, title and license. 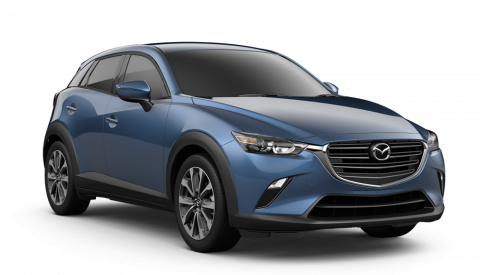 Listed Incentives are available for registrations at #1 Cochran Mazda located in Monroeville, PA. Information Provided by Automotive Information Systems, Inc: Information is Reliable but not guaranteed. Finance Offers (APR) are available to qualified buyers subject to Credit Approval, not all buyers will qualify.